 Need some help listening to us through our website? Here are the answers to some common troubleshooting questions. If your question isn’t here or you need more help, please email us at info@luradio.ca or call 807-343-8881. How do I listen to music through your website? I clicked on the image, but nothing comes up? How do I use my own player instead of the one on your website? I’m listening to a show, but after an hour, why did it cycle back and start again? How do I listen on my phone? Q: How do I listen to music through your website? A: Click the ‘Listen to CILU Live Now” image in the top left corner. A player will open up. Just click the little sideways triangle (the ‘Play’ button) and away you go! Q: I clicked on the image, but nothing comes up? A: Your pop up blocker may be stopping the player from opening. Check to make sure you’ve allowed www.luradio.ca to ‘pop up’ things on your browser. Q: How do I use my own player instead of the one on your website? A: Simply click on ‘Add URL’ and add http://luradio-server.lakeheadu.ca:8000/stereo128.mp3 to your playlist. Click play and away you go. We like using Winamp, but these steps should work on other players. Q: I’m listening to a show, but after an hour, why did it cycle back and start again? A: Some players, particularly Windows Media Player, tend to buffer and store streaming audio. Try stopping your player and starting it again. You may need to close down the player and open it again to clear out the cache. Q: How do I listen on my phone? A: You can use a free app called ‘TuneIn Radio’. You can find the app for free on both the Google App Store or the iTunes Store. 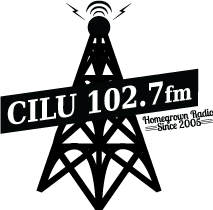 Once you have installed the app on your phone, search for ‘LU Radio Thunder Bay’ or ‘CILU’ and we should come up; you can listen to us right away. There is a paid version of the app as well, which allows you to record what you’re listening to. If you don’t want to record, you’ll just need the free version.